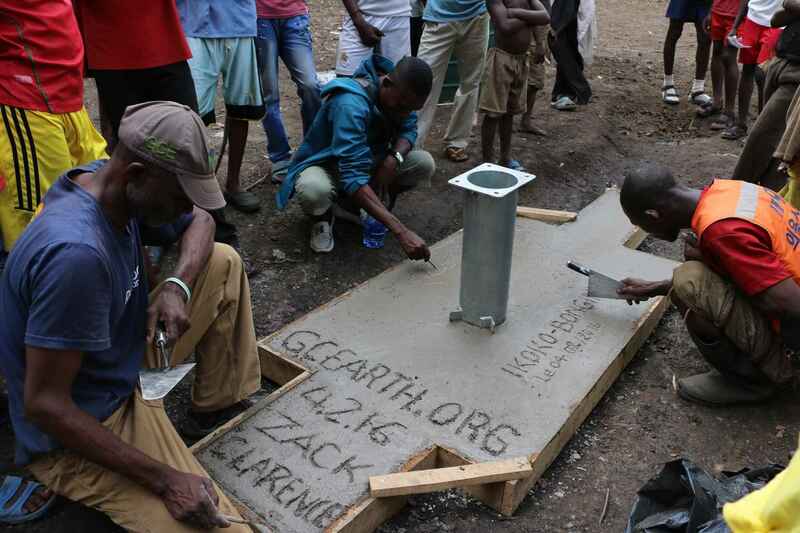 GCEarth investors are project patrons. Right now you can fund a well for just $8000, providing water for 2000 people and creating a ripple effect through the community and improving health, education, economy and women's and girls' empowerment. Interested in sponsoring a well, but can't do it on your own? We'll help you create your own donations page and/or throw a party to sponsor a well! If this interests you, please get in touch! arielrogers@GCEarth.org. Your investment in every water well has a tremendous ripple effect on the communities of Lake Tumba, improving health, education, economy and women's and girls' empowerment. Furthermore, our holistic approach to conservation - working within the communities on Lake Tumba to protect tribal land rights - not only alleviates poverty, but is an extremely effective way to save rainforest and protect endangered animals. Thank you for sponsoring a well! We will be sure to report back to you on the impact you have made to many lives!